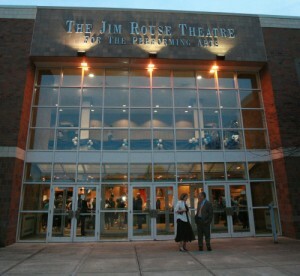 The Jim Rouse Theater, housed in Columbia’s Wilde Lake High School, is a 740 seat state of the art theater shared by the school with many local arts and community groups. Directions – Google maps – use the ‘Get Directions’ button toward the top left of this page to include your starting point and produce driving directions. Return to the Venues Page.